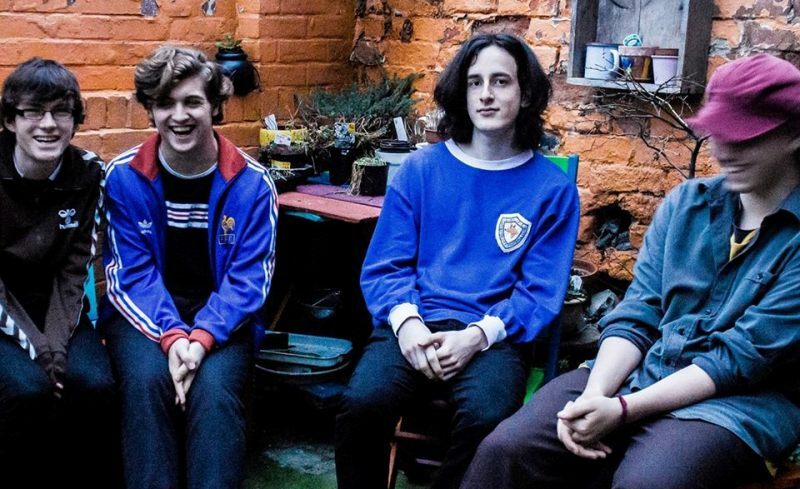 We’re BellyFeel, a young alternative rock band from Newcastle who have been playing together for 2 years, that takes influence from a number of genres such as post-punk and jazz. We are currently in the process of self-recording an EP, to be released early in 2019. We are excited to have two gigs coming up with The Rookery Collective, one this Sunday 16th of December at the Cluny 2 and another in Manchester on the 29th of December. These are six of our biggest influences that have shaped our young career so far. It is hard for us to deny that one of our biggest musical influences is Radiohead. We try to distance ourselves with the comparison to the best extent we can, but it seems that anyone who ever watches us play sees it. This could probably be due to the fact that one of the first songs we ever learned as a band was Paranoid Android; and given that we still play it to this day. The number of incredible albums they’ve put out over a multitude of different genres is hard not to be Inspired by. The Blues Brothers has been a favourite for all of us since we were little – the music and the story line are banging, not to mention the cast as well. It’s a widely regarded great film and is one that has brought us great memories and influence to our music taste. We were going to have Fantastic Mr.Fox as our film but didn’t quite make the cut. We all love a bit of hip-hop, and an outstanding album (we could all agree on) happened to be from this genre. The production from Madlib on the record is phenomenal and the lyricism of MF Doom is something else, and given that two of us are aspiring producers, these aspects can be translated and utilised in the recording our EP. Needless to say that Benjamin Zephaniah is a very inspirational person, from his revolutionary performance poetry at grotty punk gigs to his MCing as part of a Dub sound system in the 70’s, all the way to his involvement in Peaky Blinders, he has something that everyone can take from and aspire too that he’s done in his career so far. Not to mention his public acts of political defiance through his life such as his rejection of a honorary knighthood (you can tell our drummers read his autobiography ). We all recently went to see IDLES at The Riverside which was without a doubt a highlight of our year as a group of mates outside band. We put down Adam Devonshire, the bassist, as he wore a Newcastle shirt both at the gig and more recently during their performance on Soccer AM. Then at their DJ set at Zerox our drummer had a piss next to him and he seemed like a genuinely sound bloke. A bit of a ritual that we all have a cup of tea before band practice, sorts us right out so it had to make the list as part of our biggest influences.